Staff were lovely, the were more than happy to accommodate needs. Given an upgrade to our room which made it an even better 21st birthday trip. We would definitely stay again. There are two things I appreciate most: the staff and the location. We loved the location and the staff were very accommodating, helpful and attentive. Location was excellent! Very clean and the decor was very modern and to our taste. the location was okay and walking distance from popular locations that we traveled there for. Staff was welcoming and helped with every little help we needed. i would 100% stay at this apartment/hotel again and bring back friends. Everything was amazing, 10 mins walk to city center!!! 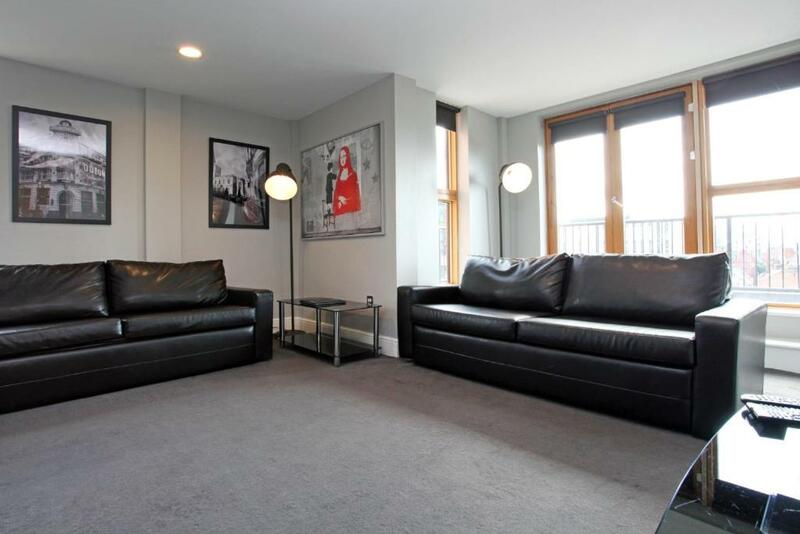 The location is superb- very accessible and central to the city. The staff is very helpful and welcoming. Great apartment with really helpful and friendly staff manning the front desk. Brilliant location if your looking to explore the northern quarter. We were upgraded to the penthouse and everything was quality. Worth the value and would go back again! Parking is a minute walk away, £10 for 24hours which is amazing for Manchester. Staff were lovely, very accommodating, let us in early as it was my graduation ceremony and we arrived hours before check in. Room was beautiful, very clean, great facilitaties and amazing view. 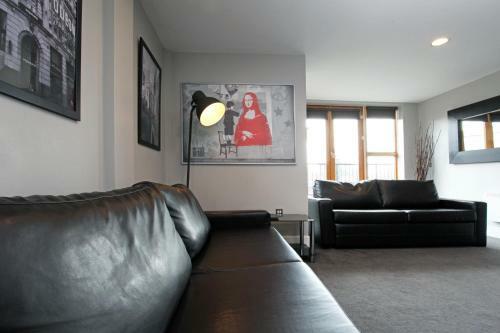 Lock in a great price for The City Warehouse Aparthotel – rated 8.9 by recent guests! The City Warehouse Aparthotel This rating is a reflection of how the property compares to the industry standard when it comes to price, facilities and services available. It's based on a self-evaluation by the property. Use this rating to help choose your stay! 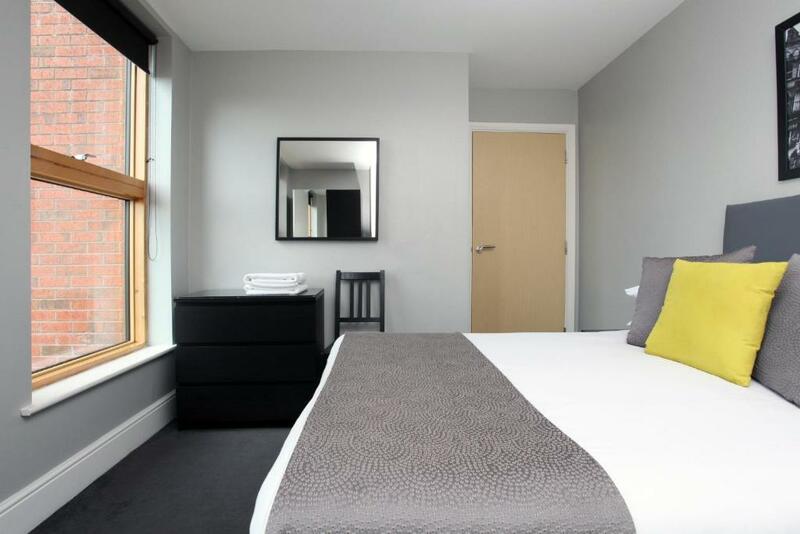 One of our top picks in Manchester.Near a 5-minute walk from Piccadilly Gardens, The City Warehouse Aparthotel features free WiFi and a 24-hour front desk. Manchester Piccadilly Rail Station and the main shopping district are within a 10-minute walk. 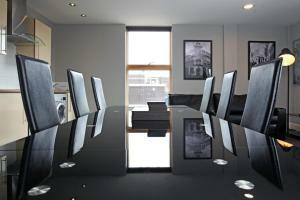 The City Warehouse Aparthotel features 32-inch LCD TVs, DVD players and music systems. 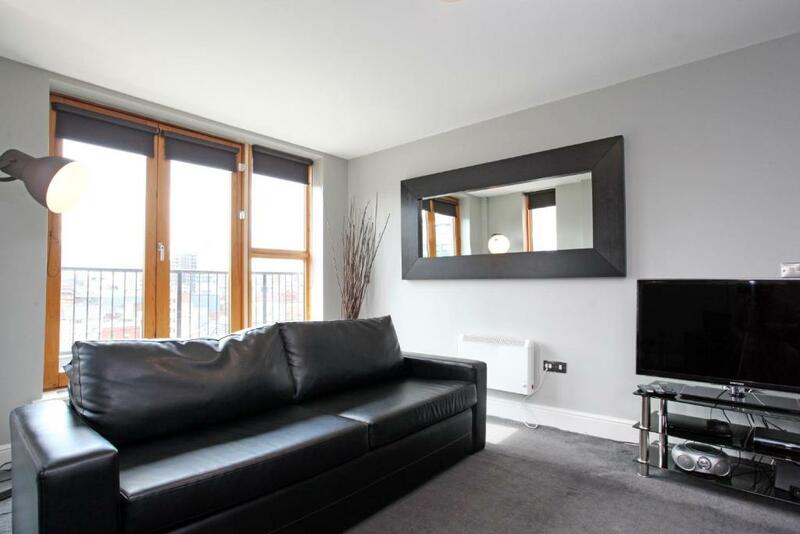 Each serviced apartment has a contemporary fitted kitchen, bathroom and a large living area. All linen, towels and Scandinavian White toiletries are included at City Warehouse. Guests also receive a free welcome pack, including tea, coffee and milk. All apartments feature stylish decor and modern furniture. Guests are eligible for a discount off food at a local central Manchester bar. Vouchers are available from reception. 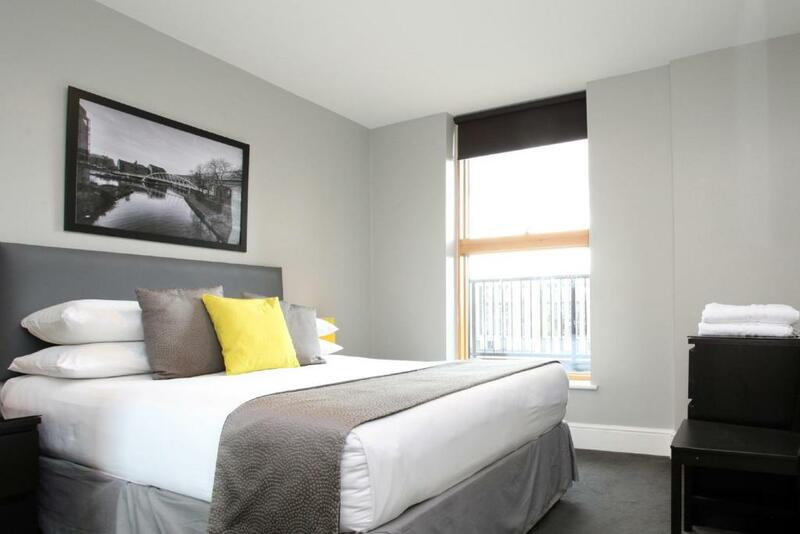 The City Warehouse Aparthotel is a 10-minute walk from the Arndale Center. 뀐 Located in the real heart of Manchester, this property has an excellent location score of 8.9! When would you like to stay at The City Warehouse Aparthotel? Some apartments feature a Juliet balcony. 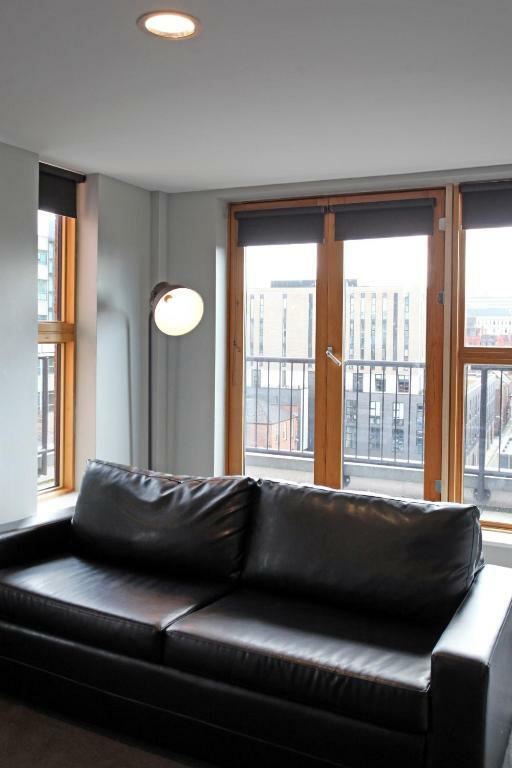 A Juliet balcony is featured in this spacious apartment. A Juliet balcony is featured in this apartment. A balcony is featured in this spacious top-floor apartment. Penthouse apartments also feature complimentary Sky movies and Sky Sports. This apartment features a microwave, washing machine and sofa. 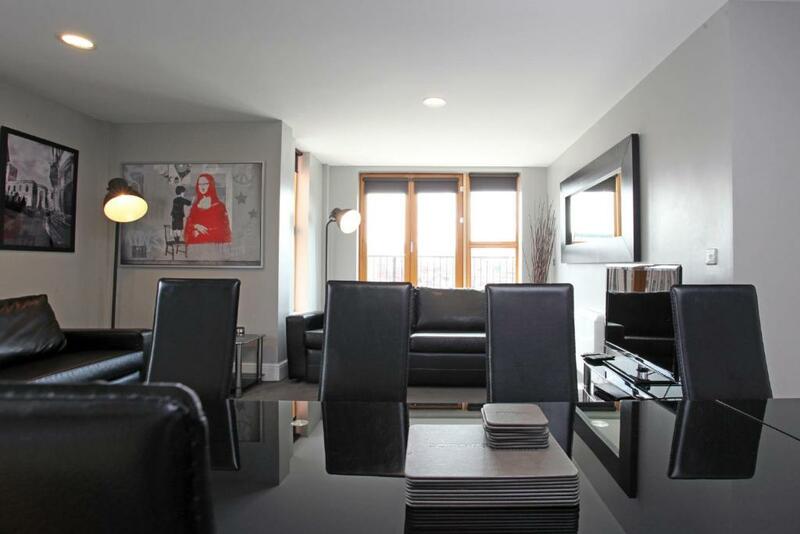 This apartment includes 4 Executive match day tickets for Manchester United's home match. House Rules The City Warehouse Aparthotel takes special requests – add in the next step! The City Warehouse Aparthotel accepts these cards and reserves the right to temporarily hold an amount prior to arrival. The City Warehouse Apartment Hotel will charge a refundable security deposit of between GBP 50 and GBP 300, depending on apartment type and number of guests staying in the apartment on check-in. Security deposits must be pre-authorized on to a valid credit or debit card and is released back by the hotel on the day of check out. Deposits may take between 3-5 working days to be released back on to guests available balance. Please note the guest making the booking must be 18 years and older and must be staying at the property. Guests should be made aware that they should contact the apartments if they are booking more than one apartment as part of a group, even if reservations are made in different names to request that the apartments are placed as close together as possible, subject to availability. This can be done using the contact details on your booking confirmation. Please note that extra fold-out beds are available on request from the hotel only, subject to availability. I liked everything. Nothing really to fault! The place was spotless. Had everything we needed. It was very comfortable, clean, and warm. The staff were really nice and helpful. My kids loved it! They enjoyed watching tv and the wi-fi was very good. I would definately recommend it! Location was very good as well. Apartment very warm and could be noisy at times but we are early to bed people with a 12 year old with us. Apart from that good no other complaints staff friendly apartments very clean .. Location good just on outskirts of busy streets, apartment clean everything u need for a city break . From iron, toaster to hairdryer. Nice and helpful staff and a comfy property. Will definitely be returning. Good location. Spacious, clean and comfortable apartment. It was so good for the money. So much to do and the washing machine was a great addition. Fab location. I had trouble finding the front door, not very well marked....post code lead me to the opposite side of the road! Fortunately I called Michael who was able to guide me to the door. One bed was comfortable but the other was hard and you could feel all the springs coming through. Staff very friendly & Spacious apartment! It was very secure everything was explained well when we got there, they had no issues with 8 of us celebrating my 21st, even put our Tesco shop away before we arrived!